"If asked what aspect of vision means the most to them, a watchmaker may answer 'acuity', a night flier 'sensitivity', and an artist 'color'. 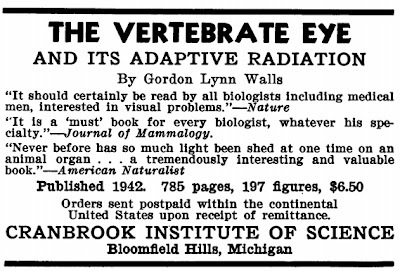 But to the animals which invented the vertebrate eye, and hold the patents on most of the features of the human model, the visual registration of movement was of the greatest importance". Walls, G.L. (1942). 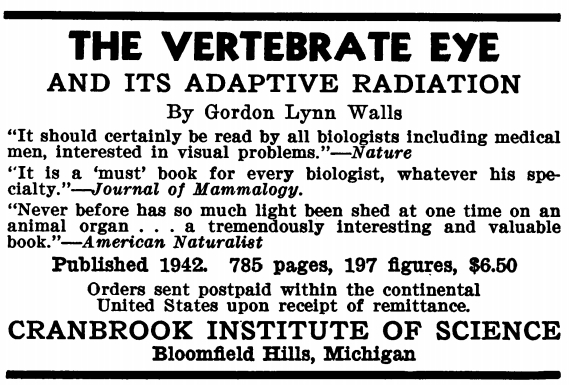 The vertebrate eye and its adaptive radiation. p342.